"Hi, Richard James here to give you an update on the Personal Tax Account". Couldn't be more jovial, could it. That's the opening line in a charming little blog post published by Her Majesty's Revenue and Customs (HMRC) the other day, One million customers using the Personal Tax Account. They're very proud of their new personal tax account. "34 different actions ... That’s how many things you can already do in the Personal Tax Account that would have previously meant a letter or phone to call to us". One million customers? Everything HMRC does is in the millions. Apart from the things they do by the billion. One million HMRC customers for anything isn't news. It's reassuringly dull. Like the worthy little video they've released, reminiscent of the old Central Office of Information blockbusters on food hygiene or road safety. But part way through this little gem of a post, what's this we read? 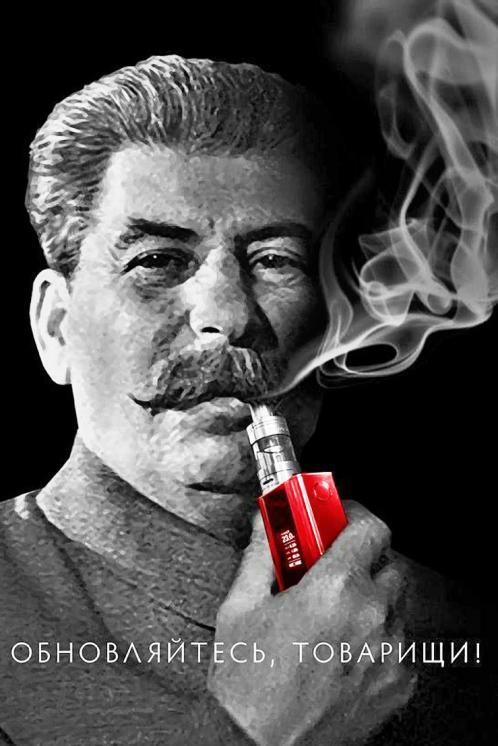 "Have you tried it yet? 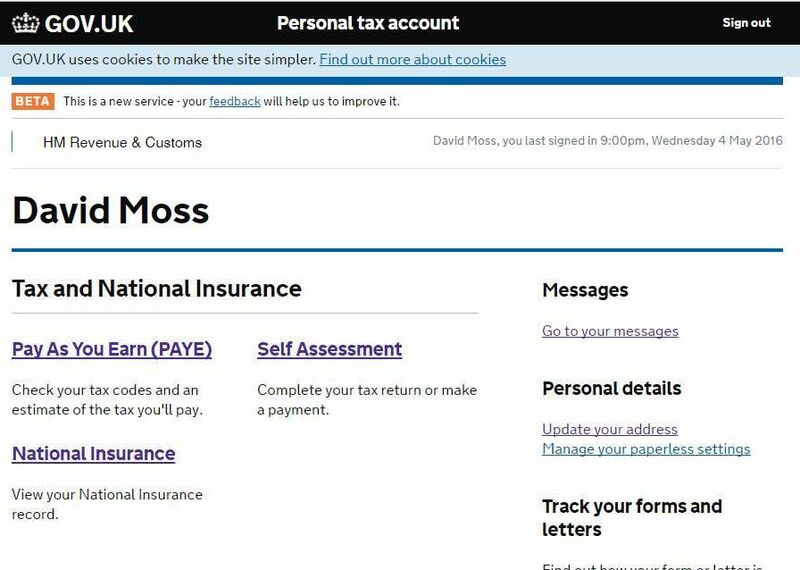 ... From the Personal Tax Account sign in page you can now log in by setting up a Government Gateway account". A Government Gateway account? Surely they mean a GOV.UK Verify (RIP) account? No. HMRC mean what they say. A Government Gateway account. They're promoting the Government Gateway and not the Government Digital Service's GOV.UK Verify (RIP). The Government Gateway has worked for 15 years, allowing us to transact with scores of public services. 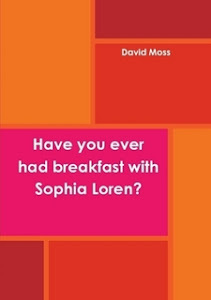 By now it must have been instrumental in raising trillions of pounds of revenue. Exactly how much revenue? How many transactions has it undertaken? How much does it cost? How many Government Gateway accounts are there? We don't know. Mysteriously, there is no Government Gateway dashboard on GDS's performance platform. There should be. A Government Gateway dashboard would reveal its colossal significance. And the ignorant vandalism of pretending that GOV.UK Verify (RIP) can replace it. "We’ve come a long way since we publicly launched the account in December 2015". Yes. After two years of beta operation, GDS's GOV.UK Verify (RIP) has 487,000 verified accounts, less than half what HMRC's Personal Tax Account has achieved in four months. And GOV.UK Verify (RIP) can connect you to just nine public services according to GDS (including the rural payments service, which doesn't exist), while HMRC's Personal Tax Account already has 34 options. GDS aim to change the declared status of GOV.UK Verify (RIP) from beta to live some time this month, April 2016. They've got 12 days left. They can call it what they like but if it's live, it's live without HMRC. Which means it's dead. Because, as we always say, "on-line access to public services in the UK" means on-line access to HMRC. CitizenSafe, also known as "GB Group plc", are one of GDS's "identity providers" for GOV.UK Verify (RIP). Making this announcement would properly fall to a minister, not a contractor. GDS recommend that five of their remaining "identity providers", including CitizenSafe, are unlikely to be able to verify your identity. We have suggested recently that the Government Gateway should be taken away from DWP and given to HMRC. Perhaps it has been. Like any system, the Government Gateway needs maintenance. Unlike the Government Gateway, GOV.UK Verify (RIP) can't handle companies and partnerships and trusts. Only individuals. If the Government Gateway dies of neglect, the UK won't have any tax revenue. To do his identity-proofing, DMossEsq had to enter a bit of P60 information or payslip information or passport information. (Your P60 shows the tax you’ve paid on your salary in the tax year.) He chose the P60 option and that felt appropriate. That was the user experience. By contrast, the user experience of handing over detailed passport, driving licence and credit history information to register for GOV.UK Verify (RIP), handing it over to a bunch of strangers, who share it with organisations all over the world, out of your control, feels entirely inappropriate. That blog post of HMRC's. It wasn't just a chirpy piece of public information. It was also a death knell. The chirpy Mr James has published another blog post about HMRC personal tax accounts. He's got a lot to be chirpy about. Last time we heard from him, in April 2016, there were one million active users, please see above. Now, four months later, there are 3½ million. While HMRC have attracted 2½ million new users, the Government Digital Service (GDS) have added just 117,000 new GOV.UK Verify (RIP) accounts taking their total to about 796,000 on 31 July 2016. Clearly most people are not using GOV.UK Verify (RIP) to access their personal tax accounts. They're using the Government Gateway. That's the identity assurance scheme that allows you as noted above to access public services without spraying your personal information all over the world. At the moment, if you need to help your 94 year-old mother-in-law to access her personal tax account, you have to identify yourself to the Trusted Helper service via GOV.UK Verify (RIP). In future, Mr James tells us, it will be possible to use the Government Gateway instead. GOV.UK Verify (RIP) may have been declared "live" in May 2016. But what people are using in their millions is the Government Gateway. In the four months it has taken HMRC to add 2,500,000 users of one of its services, Personal Tax Accounts, please see above, GDS have added just 117,000 new GOV.UK Verify (RIP) victims. The DMossEsq slide rule suggests that HMRC are outperforming GDS by about 21:1. GDS are onto the problem. Yesterday they published GOV.UK Verify [RIP]: Technical delivery update, 9 August 2016. They intend to increase adoption of GOV.UK Verify (RIP) by improving not only "the layout and messaging on the page displayed to users after a certified company successfully verifies their identity so it is clear how they can continue to the government service they intended to use" but also "our handling of the user’s choice of language (English or Welsh) so we can show the correct language version of each screen throughout the entire process, from selecting a government service through the GOV.UK Verify hub to certified companies". Moreover, to improve the GOV.UK Verify (RIP) "completion rate", GDS have already "started work on an A/B testing framework which will allow us to determine whether one version of a screen or one wording of a sentence is clearer to users than another". And soon, GDS expect to "run A/B tests on the GOV.UK Verify [RIP] hub to explore the effect of company logos on the initial information pages". Plucky stuff from GDS and their shrinking band of "identity providers" but, barring a miracle, the gold medal (medal aur) still looks pretty safely in the bag for HMRC and the Government Gateway. Seven weeks ago there were 3½ million users of HMRC's on-line personal tax account service. Now there are five million, HMRC digital marks major milestone: "The five millionth customer has signed up to the Personal Tax Account, marking a major milestone in the ongoing development of HMRC’s digital services". There were only 0.847 million GOV.UK Verify (RIP accounts as at 18 September 2016. Of those, 0.185 million were "basic" accounts, unverified accounts, useless to HMRC. Of the remaining 0.662 million accounts, we don't know if that's 0.662 million people or 0.083 million people who each have eight GOV.UK Verify (RIP) accounts, one with each of the eight "identity providers" who have registered people over the past few years. Anything between 83,000 and 662,000 of HMRC's on-line personal tax accounts could be registered through GOV.UK Verify (RIP). So anything between 4,338,000 and 5,000,000 must be registered through the only alternative, the Government Gateway. And they're signing up fast. 1½ million in seven weeks. When it comes to the high volume take-up of a serious on-line service, people choose the Government Gateway over GOV.UK Verify. RIP. As an experiment, would you please click on Personal tax account: sign in or set up. Anyone can. No harm will come of it. HMRC did warn people about this omission, please see above: "You can also sign in using GOV.UK Verify [RIP], but you won’t be able to use some services". Oddly, that warning has now been removed. Disappointed self-assessors now have to find out the hard way that there's no point using GOV.UK Verify (RIP). While PTA has added yet another million users, GOV.UK Verify (RIP) has signed up just over 19,000 new users. At least 981,000 new PTA users must be using the Government Gateway to access the service. And while HMRC have produced PTA, among other things, what have GDS achieved? Yesterday, GDS director general Kevin Cunnington "outlined that GOV.UK Verify [RIP] remains a key element of GDS’s ambitions". Elementary data science – you know, policy based on evidence, that sort of thing – surely indicates that all identity assurance resources should go into improving the Government Gateway. HMRC's Mr James is even more jovial than usual – "last night the Personal Tax Account (PTA) won Digital Project of the Year at the annual UK IT Industry Awards". PTA is now up to 6.7 million users in less than a year. GOV.UK Verify (RIP) has been creating accounts for just over two years since 13 October 2014 and now has 0.9 million of them. DMossEsq has created seven GOV.UK Verify (RIP) accounts for himself. If other people have done the same – seven accounts each – GOV.UK Verify (RIP) may have just 0.13 million users compared with PTA's 6.7 million. To access your account go to the Personal Tax Account sign-in page and login by setting up a Government Gateway account. It only takes a few minutes and you’ll need to have your National Insurance number and your P60 handy. If you already have a Government Gateway account it will be quicker still. To make the process even more secure we’ll text you a security code that you’ll need to enter each time you use your account. As far as HMRC are concerned, GOV.UK Verify? RIP. In his latest blog post, Personal Tax Account - an award-winning service, Mr James mentions that "since we last spoke we’ve introduced two new online payment services available via [HMRC's on-line personal tax account service(PTA)]". One is for under-payment of tax, the other for over-payment. Where taxpayers have over-paid, they can apply for a refund through PTA and the money should turn up in their bank account in five days or less. Mr James says "we’ve received just over 1.5 million repayments claims so far with an average claim of £519. The total amount we’ve refunded is nearly £780 million". At least it should if you've read GDS aiming for 25 million users of Gov.uk Verify [RIP] by 2020 in Computer Weekly magazine. "For GDS to achieve the 25 million user target would require several high-volume services to adopt Verify, such as HM Revenue & Customs’ (HMRC’s) self-assessment and digital tax services, the Universal Credit welfare system, and the NHS". Not good: "HMRC has been pressing ahead with its own identity verification service, based on the existing Government Gateway – a 15-year-old system that is used for individuals and businesses to submit their tax returns". Kevin Cunnington, director general of the Government Digital Service (GDS), has an award-winning answer: "HMRC has been reluctant to fully adopt Verify because the department requires a lower level of assurance than Verify currently offers". 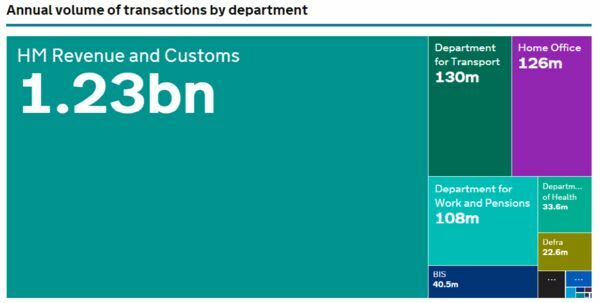 Are we to infer that HMRC would use GOV.UK Verify (RIP) to authorise £780 million of payments if only the wretched system wasn't just so good? HMRC prefer to be unsure who they're giving our money to? 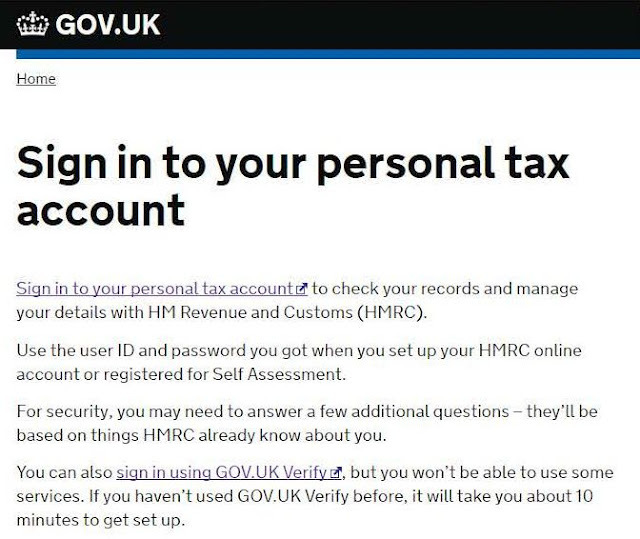 HMRC's advice to taxpayers is: "to access your account go to the Personal Tax Account sign-in page and login by setting up a Government Gateway account" (please see above). Are they ignoring GOV.UK Verify (RIP) because they want to make fraudulent payments? Remember that, according to the US National Institute for Standards and Technology, the level of identity assurance offered by GOV.UK Verify (RIP) is no better than self-certification. Remember that, according to GDS, only about 70% of people can create a GOV.K Verify (RIP) account. What would HMRC do with the other 30% of taxpayers who are owed a refund? Remember that, according to GDS, if you create a GOV.UK Verify (RIP) account, your personal data wings its way all over the world into the databases of any number of companies you've never heard of. That doesn't happen with the Government Gateway. That noise you heard in Computer Weekly magazine? That was Mr Cunnington whistling to keep his spirits up. And the other noise? The bell you heard? It's tolling for GOV.UK Verify. RIP. ... until 13 February 2017, when Mike Howes-Roberts told us that the Government Gateway supports "123 live digital services across government ... 406 million authentications a year ... more than 50 million active accounts", please see Green light for Government Gateway transformation. 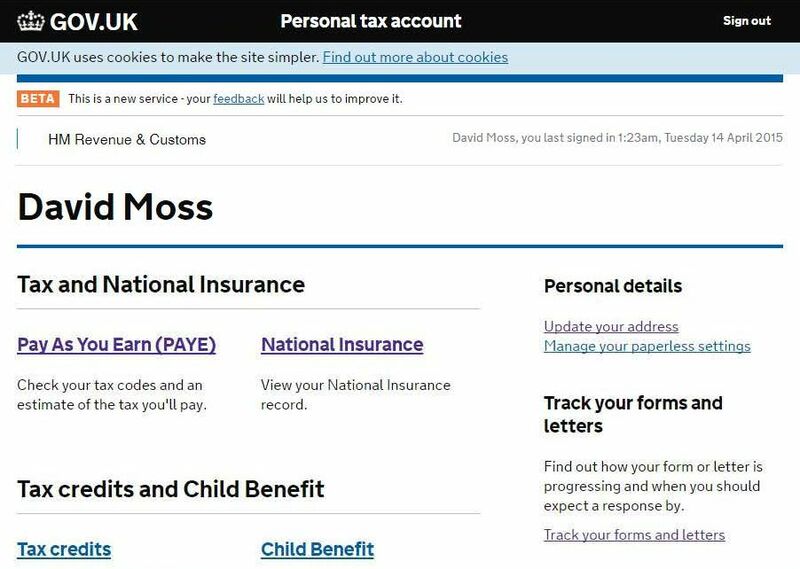 As recommended by DMossEsq, Her Majesty's Revenue and Customs (HMRC) have taken over responsibility for the Gateway from the Department for Work and Pensions (DWP), who starved it of attention, and are now working on a new version. There's no alternative. Without the Gateway HMRC couldn't raise the £716 billion that we need to fund public services this year (p.6). It's not as though HMRC can rely on the Government Digital Service's GOV.UK Verify (RIP). After five years of development, GOV.UK Verify (RIP) can't even verify the identity of a company. Since 13 October 2014 only about 1 million GOV.UK Verify (RIP) accounts have been created and they've only been used about 1½ million times. Not surprisingly, Mr Howes-Roberts says in his blog post: "HMRC is developing its own identity system for individuals, businesses and agents. Other departments will use Gov.uk Verify [RIP] for all individual citizen services". "Update: Since the publication of this article, HMRC has edited its blog post and removed the above statement. Computer Weekly has asked HMRC why it decided to remove it". Clearly an operation has been mounted to try to save GOV.UK Verify (RIP). It's not just blog posts being altered Minitrue-style. Stephen Foreshew-Cain, one of GDS's two ex-executive directors, suggested on Twitter that HMRC shouldn't develop a successor to the Government Gateway. But they have to. Please see above. No revenue, no public services. It's not easy getting a cover-up right. ... and not for John Manzoni, chief executive of the UK Civil Service, who tried in a speech yesterday to promote the dying system: "Verify - the government identity service for citizens - is enabling people to access a whole range of online government services easily, securely and in a way which builds their trust". Alternative facts, anyone? It's hard to achieve coherent falsification of the facts. In the same speech, Mr Manzoni also said: "Personal tax accounts from HMRC now take a real-time digital approach. For the first time you can log in when you like, check your tax information and manage your details online in one place. More than 8 million citizens have now signed up ...". 8 million+? We know that there were 6.7 million personal tax accounts in November 2016. So, over 1.3 million accounts have been added in three months. In the same period, 189,734 accounts have been added to GOV.UK Verify (RIP). Even if they were all used for HMRC's on-line personal tax account service, the 1.3 million+ total would mean that they were still outnumbered 6:1. What Mr Manzoni has unwittingly demonstrated is that, given the choice, most people avoid GOV.UK Verify (RIP) and opt for the only alternative, the Government Gateway. Applicants are told in the job advertisement that GOV.UK Verify (RIP) uses "a range of certified companies". Follow that link, and applicants will discover that "certified companies have to be ... certified by an independent body (such as tScheme) to confirm that they meet government standards for identity assurance". Follow the tScheme link and applicants will discover that three of GDS's seven so-called "certified companies" aren't certified. So much for government standards, what are applicants expected to make of that? Applicants are told further that "[the] GOV.UK Verify [RIP] Privacy team aspires to build trust with the users and stakeholders with [a] privacy by design approach ... You can read more about our privacy principles in our blog". What will happen to the applicants' trust when they discover that GOV.UK Verify (RIP) fails to comply with a single one of its own privacy principles. GDS's aspiration has failed. Bang goes trust. It's not just lead service designers. Privacy analysts, too: "We are seeking a pragmatic and solutions oriented privacy professional to reinforce the GOV.UK Verify [RIP] Privacy team". Even the poor privacy analysts (£30,722 - £34,200) GDS is trying to recruit are being given the same misinformation, "[the] GOV.UK Verify [RIP] Privacy team aspires to build trust with the users and stakeholders with [a] privacy by design approach ...". It looks prima facie as though recruits are being deceived.